North East India in a much unexplored paradise which is the best destination providing you trekking, beautiful sigh seeing, extra ordinary culture and food. You can go to any of the seven states which fall in north east region of India. This Includes: Arunachal Pradesh,Assam,Meghalaya, Mizoram,Manipur,Nagaland and Tripura. These states are also known as the seven sisters of India. Sikkim is also there but is generally refer to as the brother of the seven sisters. If you visit any of these states, you would get to know the real beauty of India. Undoubtedly, the weather to please you can be found in no other place in India. The culture is beautiful. The unexplored paradise of India is well known for its enchanting culture and traditional lifestyle with no such history. North east states have people who follow different religions like Hindu, Christianity, Muslim and Buddhism. Buddhist culture is generally followed by many. It has a diverse culture. In this region,hunting and fishing are the prime occupations of the native people living here. Tea farming is one of the main source of income along with traditional handicrafts. The tea and coffee produced here is world famous for its authentic and rich flavour and taste. Staple food and cuisine includes rice with dry wish as it is situated near Bengal. No wonder, many places of Bengal also fall into this region. All of us are fond of momos, where did they originate from? They are the speciality of north east India only. Non veg is generally preferred by the people living here. 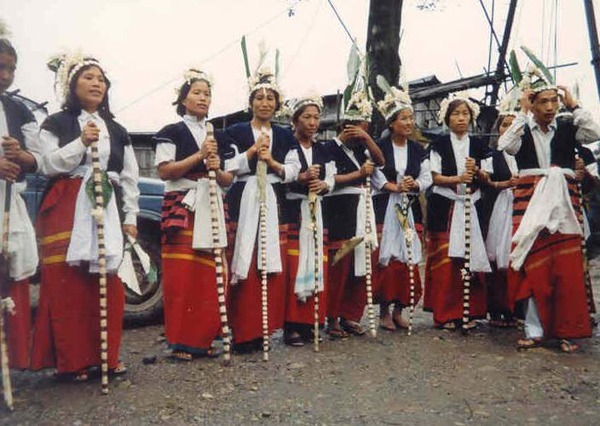 Some of the beautiful festivals celebrated here are Bihu, Brahmaputra festival , hornbill and sekrenyi festivals. Their fairs and festivals are also world famous , If you visit here then do not miss out on experiencing any of these festivals to know how beautiful their culture is. North east India is a home to a large number of flora and fauna with its natural beauty . We are not yet aware about the fact that the music capital of India lies in the region only. Yes, Shillong is not just the capital of Meghalaya but the capital of music too. Besides, it is famous for its unique handicrafts and arts too. People are well skilled here in terms of art and craft. Silk weaving is also done here. If you visit here then do take a look over the beautiful art and craft and you can get some beautiful home decors too. Many beautiful hills and mountains are also here along with some of the mesmerising valleys. This place is a perfect hit if you're planning a trip or honeymoon in India this summer. You would get a good chance to escape from the scorching heat of other parts of India. This place is truly a paradise. You are definitely going to love it !